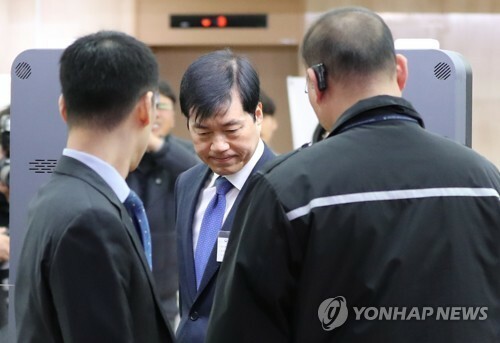 SEOUL, Nov. 15 (Yonhap) — The chief of Samsung BioLogics Co. claimed Thursday that his company didn’t intentionally violate accounting rules before listing its stock on the Seoul bourse in 2016 and expressed regret over the financial regulator’s ruling. In an email sent to employees, Samsung BioLogics CEO Kim Tae-han said the company’s accounting methods were in line with the International Financial Reporting Standards and that the nation’s certified public accountants and the financial watchdog had previously concluded there were no problems. The official said the healthcare unit of Samsung Group is “the world’s top contract manufacturing organization” and has earned 19 global manufacturing approvals. He told employees to keep their focus on innovation and expansion in the global market. The Korea Exchange, the nation’s bourse operator, has 15 days to review a possible delisting of Samsung BioLogics.